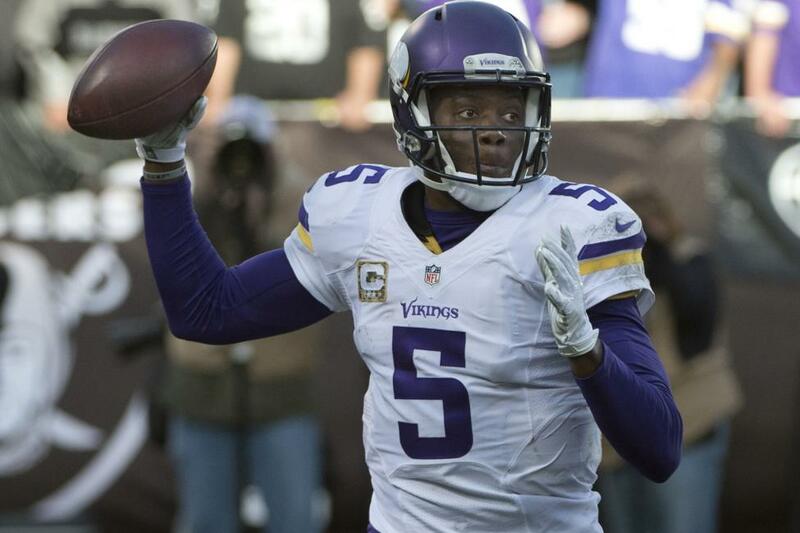 Teddy Bridgewater signed with the New York Jets in March looking to resurrect his NFL career. However, there is no guarantee that Bridgewater will be with New York when the regular season starts. Sources told the New York Daily News that the Jets are open to trading away Bridgewater, who has played in one game over the past two seasons since suffering a devastating knee injury with the Minnesota Vikings. New York has three quarterbacks on the roster. Veteran Josh McCown, who was having one of the best seasons of his career in 2017 before suffering a broken hand, is currently atop the depth chart. Bridgewater, who signed a one-year contract with New York, is listed as the backup, but the Jets also have rookie Sam Darnold, the No. 3 overall pick in this year's NFL Draft. At age 25, Bridgewater has more trade value than the 39-year-old McCown, but he will have to show his knee is healthy. Bridgewater will get that chance when the Jets open the preseason Friday night against the Atlanta Falcons. [post_ads]New York general manager Mike Maccagnan recently said that it's natural for trade talk to crop up with three potential starters at the position. "We like a lot of things that Teddy's done this offseason. We obviously know Josh from having him last year and what he brings to the table. But I would say from that standpoint, it's very early. We kind of want to see how these guys still grow and develop." Bridgewater, 25, played in one game for the Minnesota Vikings in December 2017. He attempted two passes against the Cincinnati Bengals, both of which were incomplete. Bridgewater was a Pro Bowl selection in 2015, when he started all 17 games for the Vikings and led them to an 11-5 regular-season record before they lost in the first round of the playoffs. However, a torn ACL and dislocated knee suffered in preseason sidelined him for the entire 2016 season and the start of the 2017 season. He was cleared to practice on Oct. 16, 2017, but never got back into the starting lineup after Case Keenum took over for the injured Sam Bradford.